When it comes to casino games, it’s no surprise many new players opt to cut their teeth on the roulette wheel. 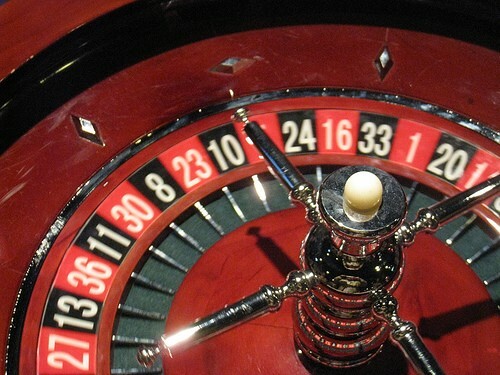 While other games may seem complicated to a new player, roulette is one of the simplest options available. Place a bet by moving your chips onto the table covering different areas, with the ball then spun on a roulette wheel seen in countless iconic casino-themed movies. Where the ball rests on the wheel then determines whether there has been a winner or not and how much is paid out. After a player has watched a round or two of action, they will rightfully feel comfortable to place a bet and get involved. While there are a number of different strategies players can adopt, there are only two real approaches: conservative or aggressive, both of which bring with them their own pros and cons. Whether it’s focusing on betting on whether the ball will land on an odd or an even number, and if it will be red or black, or a more risky method of placing bets on specific areas of the board or numbers, there’s no clear right or wrong mindset. New players may differ in how they approach playing roulette, but if we had a time machine, we would certainly go back to warn our roulette rookie selves to not make those newbie roulette mistakes during our early days at the wheel. Here are some of the most common failings new players make and ways to avoid falling into the same trap. Even if you’ve spent a bit of time watching roulette, it’s hard to know how engaging and fast faced roulette can be. From the most famous casinos in Las Vegas to the blinking neon-lit former leisure centres in towns across the world, the speed of roulette is something that does catch new players unaware, and a factor behind some spending more than they planned. As well as making it easier to keep a track of how much you’re betting, playing roulette at established online casinos such as Betway also allows players to control the speed on the game. Being able to take your time with roulette rather than be rushed by a croupier and other players makes it easier for players to play at their own pace and not get caught up in the action. One more warning though: leading providers such as Betway will offer different roulette table variants, but you’ll want to familiarise yourself with the classic European roulette before you venture into any more. Because there are so many different techniques and strategies players can adopt when playing roulette, it’s important to remember that there are no guaranteed winning methods. From betting double after every loss with the mindset that a win will repay all those previous losing bets (aka the Martingale method), to trying to stick with a set of memorable or sentimental numbers, it’s crucial that you remember that sticking religiously to one strategy or another is only going to result in lost bets. Don’t be afraid to bet in different ways at different times, especially during the early stages of your roulette career. Even when you find a method you feel works for you, never commit to it to the point of ignoring any other technique. Sure, roulette isn’t a complicated game by any means. That said, new players can overlook all the different betting options available to them at the roulette table, therefore limiting their ability to win. Taking a bit of time to brush up on the respective bets you can make certainly won’t hurt your chances of success. For those looking at betting on more than just odds or even, knowing about inside bets – single numbers, splits, corners, etc – will help you see a greater return on winning bets. Once you’ve discovered the different bets you can make, you really are ready to start your roulette journey. Previous articleThe 3 Step Guide for Online Casino Rookies!